On Tuesday, March 13, the Greater Phoenix Chamber of Commerce’s (GPCC) Professional Women’s Alliance is hosting public policy expert and long-time professional advocate, Jodi Liggett. 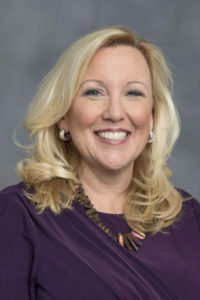 Liggett is the Vice President for Public Affairs for Planned Parenthood Arizona, where she oversees reproductive health and rights policy, organizing, communication, lobbying, litigation, and electoral activity. At next month’s event discussing civic engagement, Liggett will pull from her experience and background to highlight how attendees can impact public policy in ways that elevate civic discourse and make concrete differences in people’s lives. Liggett will provide concrete examples from her career of what types of activism are most effective at changing public policy, influencing lawmakers and transforming public opinion. During her career, Liggett has served as senior policy advisor for Phoenix Mayor Greg Stanton. She is also the former CEO and Board Chair of the Arizona Foundation for Women. Prior to that, she worked in state government as Senior Policy Advisor to Arizona Governor Jane Dee Hull and as legislative staff in the Arizona House of Representatives. Her long career in advocacy makes her an expert on civic engagement. Join GPCC on March 13 to hear from Jodi Liggett, Vice President for Public Affairs for Planned Parenthood Arizona, and find your political voice. Liggett: I have always been interested in public policy. The best thing I ever did was compete for a legal internship at the Arizona State Legislature. Working in the legislative process was deeply satisfying to my inner “wonk.” Still, like most young professionals, I was pretty ambitious and defined success in very material ways. So, my plan at that point was to get a permanent position staffing a committee like Banking and Insurance. I did get my wish—after graduation the House of Representatives hired me. However my assignment was a committee called “Block Grants”—handling welfare reform. Things changed the first day of session, however. We took testimony from some of the thousands of women who would be impacted by the policy changes being contemplated. Single moms struggling to put food on the table and taking two city buses to get their kids to school every day. Moms who worked 60 hour weeks and still could not keep up with their bills. Survivors of domestic violence starting over with nothing, trying to rebuild their lives. These women profoundly affected my perspective on my career and my definition of success. I wanted to be the kind of woman my daughter could feel genuine pride in, and focusing on vulnerable women and their families felt like the best way to do that. It’s guided my work and life choices every day since, and I’m so very grateful that things did not work out how I had initially hoped. Question: You’re very involved in the community, why is community involvement important to you and how to do you make space for it in your everyday life? Liggett: I grew up in a small family of four, but connected to a much larger extended family, where cousins felt more like siblings and everyone knew everybody else’s business. There was always a big crowd for your school play, soccer match, or graduation. And when you weren’t seeing eye-to-eye with your parents, there was always a trustworthy adult around to lean on. In short, we took care of each other—we’re still taking care of each other. To me, the community is just an extension of the family. We should be there for each other, we should take care of each other. We make sure that no one is left behind or left out. That’s the kind of world I want to live in and leave for my children, so that’s the kind of world I try to build every day. When your values and passion drive your work, it’s easy to find room. It’s just part of who you are and what you do. Question: You’ve had a long career in public policy. When women are interested in getting more involved in policy or politics, what is your top piece of advice to them? Liggett: My advice for Arizona women, in particular, is “go for it!” Arizona has very few barriers to entry for women, we have long had a large number of women holding public office at every level. Competing for votes can seem intimidating, so my real advice for smart women looking to impact public policy is not to overlook the myriad of positions that are not elected roles. Policy advisors and professional staff impact the lives of hundreds of thousands of people every day. It is incredibly satisfying work. The beginning is as close as your local precinct committee meeting, your local chapter of the League of Women Voters, or the volunteer line of a nonprofit you’re passionate about. Government intersects with our lives on environmental issues, poverty, and economic development. And our contributions in these areas typically benefit many. Policy and politics get a bad rap in the popular press because of a few bad actors (ok more than a few) but the fact is that often, the best way to do the most for our society is via law and policy. If you want to make the world a better place, it’s a great place to start. Question: What is one key piece of advice you would give to other women about focusing and developing their own career? Liggett: There may be no “I” in team, but women need to learn to say “I.” I landed that client. I found a loophole. I pulled together those statistics. I made the ask. Take credit for your accomplishments. It’s great to acknowledge the team, but in my experience men seem to take personal credit for successes much more often than women. It’s how we’re socialized. So women need to make a conscious effort to highlight their success and get noticed. Think of yourself as a one-person PR firm, with you as the only client. Your job is to spotlight your accomplishments and build your personal brand. Find mentors in the early part of your career. Take chances, but with someone in the wings rooting for you. Later, recognize that mentoring relationships are a two-way street. One of the joys of my now older life is realizing that I probably learn more from my mentees than they learn from me. I’m mainly a cheerleader and confidence-builder. Staying connected to younger professionals helps me stay in touch with what is relevant and keeps me sharp.